This full-colour walking guidebook is intended to reveal the contrasts confronted by walkers on the Greek island of Rhodes - the green in May, the dry dust in September; crowded beaches versus small villages where you will hardly find any tourists; a modern shopping town; and traditional character houses. The guide "Walking on Rhodes" describes twenty day-tours, spread across the island. The length of the walks varies from 4.4 to 22 km. Some routes are more difficult walks of a couple of hours or an entire day, whilst others are easier and shorter. The nature, the quietness, the climate, all make Rhodes an excellent destination for a walking holiday. 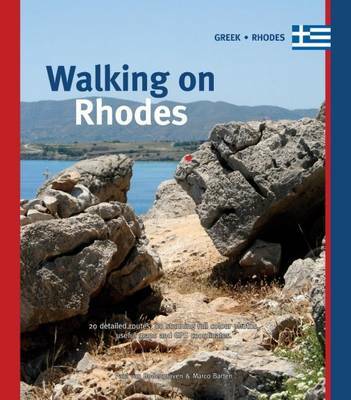 It includes: 20 circular walks with detailed route information; 80 photos; and, Introduction on Rhodes.